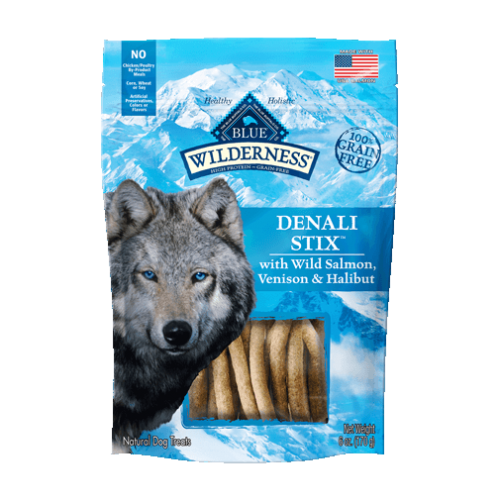 Inspired by the rugged Alaskan wilderness and the survivalist spirit in every wolf, protein-packed BLUE Wilderness Denali Stix let you treat your dog to delicious wild salmon, venison and halibut just like his wolf ancestors enjoyed. So celebrate your dog’s wild spirit! Toss him a Denali Stix as a rewarding treat, or just because.